The educational charity Book Aid International produces its own study that supports the tenets of its relatively new ‘Study Hub’ exam-oriented program. 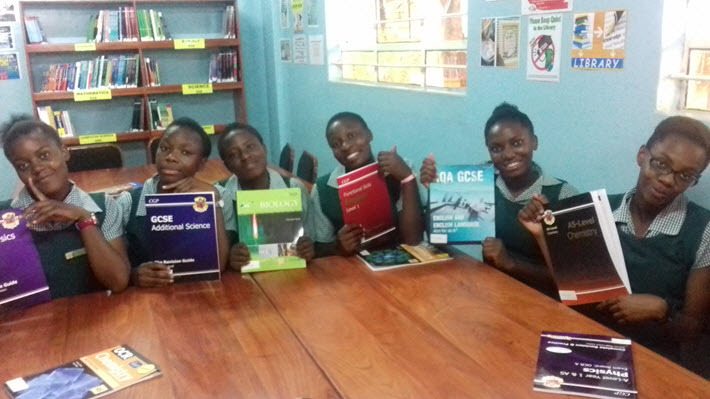 In a recently published report, the UK-based book donation and library development charity Book Aid International reports that it found that secondary school pupils in Zambia are approaching exams with new-found confidence, parallel to an injection of new books through the charity’s “Study Hub” pilot project. A change in the program’s design, however, has led to a pattern of book donation that favors the project’s school libraries as well as the public libraries. “Thus,” as the report on the study tells us, “instead of four provincial-library-based Study Hubs,” the program has operated 16 Study Hubs, 12 of them based in school libraries and four based in the provincial libraries. 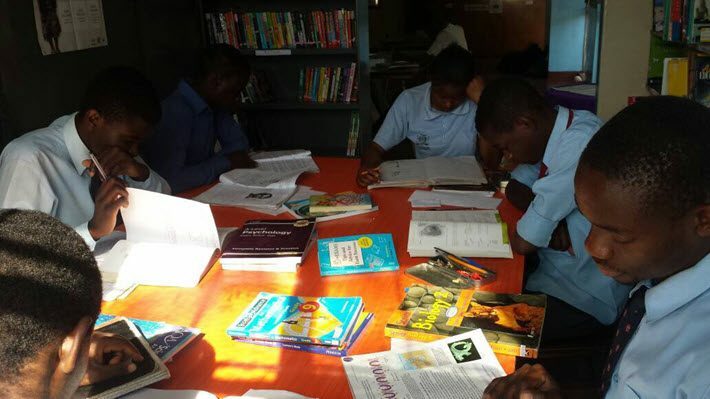 Teachers and students told the charity that by providing brand new books that are available to everyone, the project leveled the playing field for all learners. Much of the study’s report includes glowing testimonials from beneficiaries. Some such findings, however, may be questioned by African publishers who would prefer to supply schoolbooks, themselves, to regional students. Local publishers would benefit financially if charity programs bought and distributed books from the African industry, rather than importing books from other nations. The study report is written by Samantha Thomas-Chuula, who is Book Aid’s head of programs. While there’s no reason to think that any sort of conscious bias may have been applied here—Book Aid International is respected for its work—a study produced by an independent body might be able to speak with African national and regional players. Working hand-in-hand with African publishers might help not only students but also the African publishing industry. Expansion, then, already is in the works in the use of this particular program. Needless to say, benefits to students who can find what they need in such efforts to benefit their educational experience are most welcome. We’d also like to hear, at the same time, from African publishers—many of whom, as we know, are in a pitched, protracted battle with textbook piracy. Is there, in these publishers’ viewpoint, a way that charitable organizations like Book Aid International could help not only students but their own countries’ publishers? Our comments section is available, of course, and if you’d like to be in touch directly and are engaged in a part of this sector of publishing’s work, you’re welcome to contact porter@publishingperpectives.com. In the meantime, the report from Book Aid International is to be commended, even as a precursor to what we hope might be an independently made follow-up survey. As news commentary to the media puts it, “Prior to the Study Hub program, the 16 participating public and school libraries received an average of 4,512 visits a month. 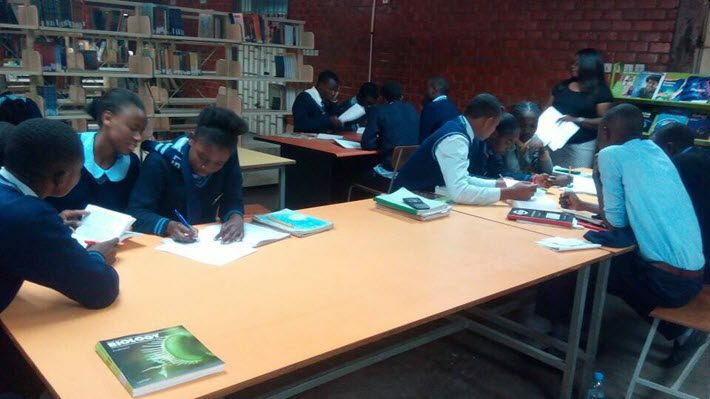 After the Study Hubs opened, that number jumped to 18,485 and students are also borrowing many more books. This is promising material. We hope to see it backed up by independent verification and a better understanding of how Book Aid International and African publishing professionals are working together. More coverage of Book Aid International is here.